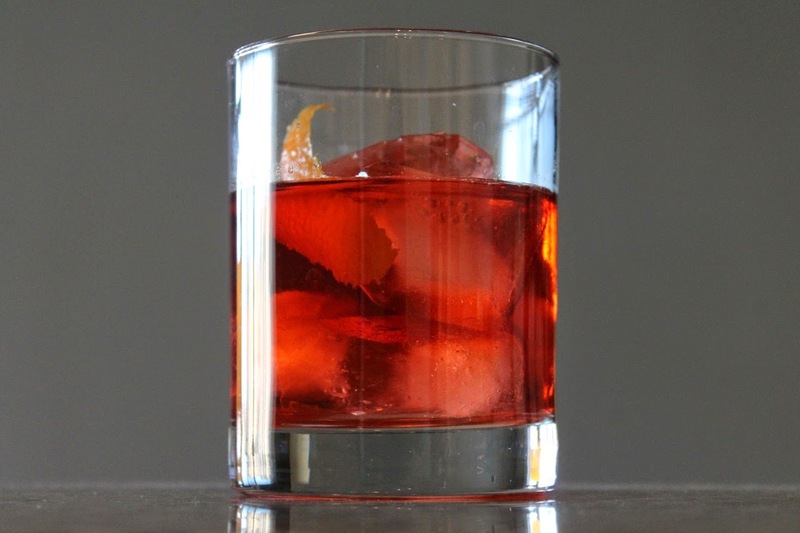 I've read that the negroni is what Italians drink during the summer, and who can blame them. The blend of sweet and bitter ingredients chilled over ice is undeniably refreshing. The negroni is traditionally made with Campari, which I like, but is fairly bitter and not for everyone. To dial the bitterness back just a bit, make it instead with Aperol, Campari's less bitter cousin (both are made by the same company). A negroni can be served up or on-the-rocks. In the summer, I prefer the latter to keep it cold on hot days. Combine the gin, Aperol and vermouth in a cocktail mixing glass. Add ice and stir until chilled and combined. Strain into a rocks glass with ice and garnish with the orange twist.